Speed Beez is proud to carry a number of accessories for the Ruger 22/45 pistol, including grips. 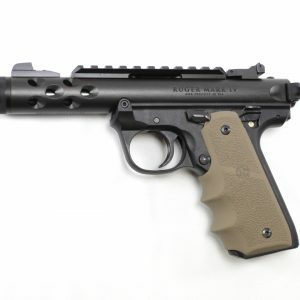 Browse our selection of grips for this handgun and check out the rest of our site for more gear for your Ruger pistol or revolver. Speed Beez is the manufacturer of some of the world’s best speed loaders, moon clips, and other gear that will make your time at the range a lot more fun and a lot more productive. Do you have questions about anything that we have for sale? Please reach out. We would love to help you find everything you need.